We are now accepting enrolments for 2020. Please contact the school (0357261421) for enrolment packages. Welcome to Chiltern Primary School. Our school is situated in a historic North East Victorian town. We are situated off the Hume Highway 30 kilometres from Wodonga and we currently have an enrolment of 57 students from 39 families. 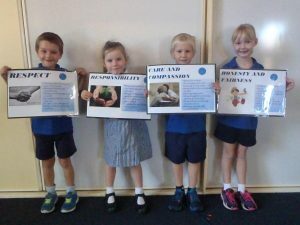 We are an inclusive school with a strong moral purpose, where staff know their students, understand their learning needs and ensure each child is engaged in meaningful learning experiences. These core values are clearly defined and lived by all members of our school, including students, staff and parents. We are extremely proud of the dedicated and compassionate nature of our staff and our school motto of, “School, Family and Community Achieving Together,” highlights our commitment to the students and the Chiltern community. Our school purpose is to provide an encouraging, stimulating, supportive and engaging environment that fosters learning and enables students to develop the emotional, social, physical and academic skills required to adapt to and contribute to an ever changing world. 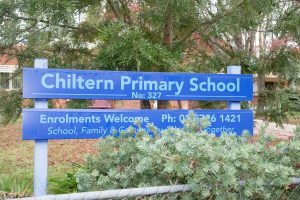 Chiltern Primary also seeks to ensure that all students, regardless of their ability or style of learning, have the opportunity to reach their full potential in a positive learning environment. We acknowledge that each child has unique interests, needs and abilities and our educational program takes this into account. We care about our students. We have committed teachers who put the needs of the students first. We provide support to students experiencing difficulties with learning through our support programs. We are proud of our welfare program which has a strong emphasis on primary prevention. Our Primary Welfare Officer’s role is to promote a whole school approach to health and wellbeing within the school community and to work in collaboration with students and parents, school staff including the Principal, teachers, Education Support Officers, specialist staff, nurses and student support services officers and with broader community agencies. Our school has excellent facilities with modern and attractive buildings. 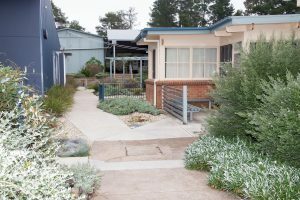 We have a large playground area which includes; two ovals, play equipment, a Creative Play Pod, a large undercover outdoor learning area, basketball/netball court, a vegetable garden and our new student designed library garden. Our computer resources provide our students with the latest learning technologies, which support student learning opportunities throughout the curriculum. Interactive whiteboards are installed every learning area. 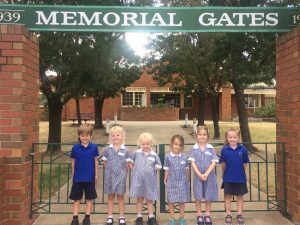 This website has been produced to provide you with an insight into the dynamic and unique environment Chiltern Primary School has to offer. It will also attempt to answer some questions you may have about the school’s operation. At times there will be questions of a personal nature that can only be answered in a face to face meeting between you and the school. One of the key features of our school is the way we encourage active continuous communication between children, teachers and parents.